Moving to Canada from anywhere! Relocating to Canada and looking for the best destination service agent in Montreal? Within 12 hours of the quote request, you or your organization will receive a precise estimate detailing all the requirements for this move. Martel Express is a member of CRN, IAM (International Association of Movers), and its affiliated company is a member of FIDI and OMNI. Tracking: We track and retrieve your shipment’s arrival and keep you updated at every step. 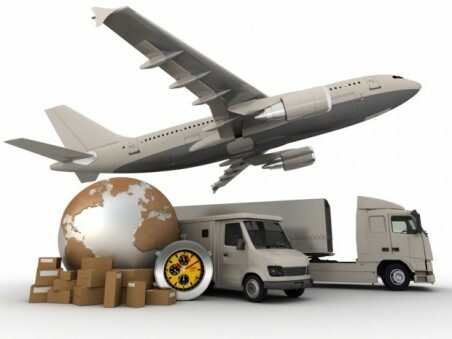 We then retrieve sea, land and air shipments from every port, airport or terminal in the greater Montreal region. Customs clearance: We assist you in obtaining the import permit and clearing your belongings at Canada Customs with detailed information, instructions and all the paperwork to ensure an efficient process in accordance with your citizenship status in Canada. Delivery: We schedule the teams, the parking permit, the elevator request, the handyman, and every other additional service you may require. We make sure you receive every article of your shipment against the packing list at origin, and install all the furniture in your residence according to your preferences. Unpacking. You have the option of having us unpack and re-assemble your furniture. Or, you can choose which boxes you prefer to unpack yourself. Anytime within thirty days of your arrival, we will pick up your empty boxes from your residence at your best convenience. Your motor vehicle. If you wish, we’ll retrieve the container holding your car, carry out a Vehicle Condition Report, and have it delivered anywhere you choose on the island of Montreal.